Most important: You are safe buying wholesale sterling silver jewelry. No counterfeit sterling silver, not sterling silver plated alloy, but all solid 925 sterling silver, with or without white gold/gold/rhodium plating. You can't find such a price in Alibaba, Aliexpress, not to mention other wholesale marketplaces. More than 20 years' silver jewelry supply/manufacture/wholesale experience. More than 400 new arrivals every month. 100% Satisfaction Guaranteed: 60 days no question asking return. Our jewelry or other products are made only with solid sterling silver , which means the alloy of silver containing 92.5% by weight of silver, a minimum millesimal fineness of 925. The plating varies from 18k gold/white gold to rhodium. 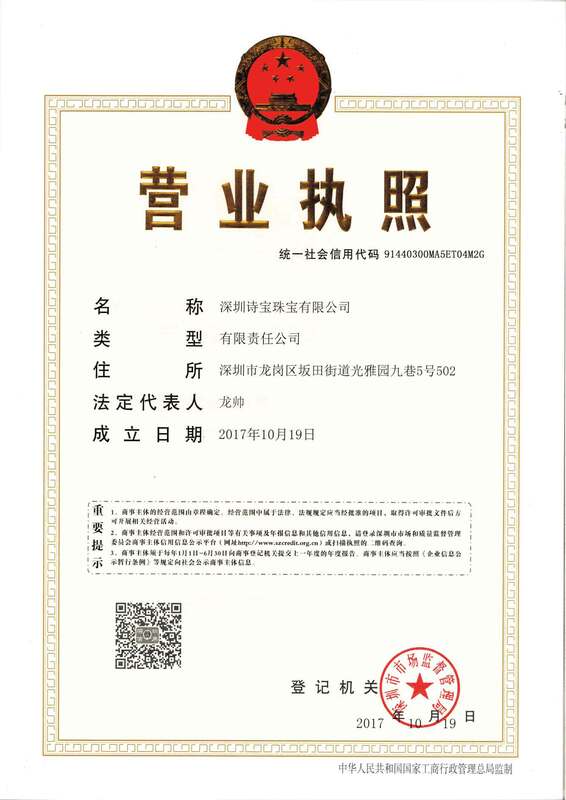 Regarding testing of EN 1811 - Nickel release / EN 12472 - Lead Content, Cadmium Content, our exo-friendly materials are compliant with EU standard of Nickel, Lead and Cadmium. 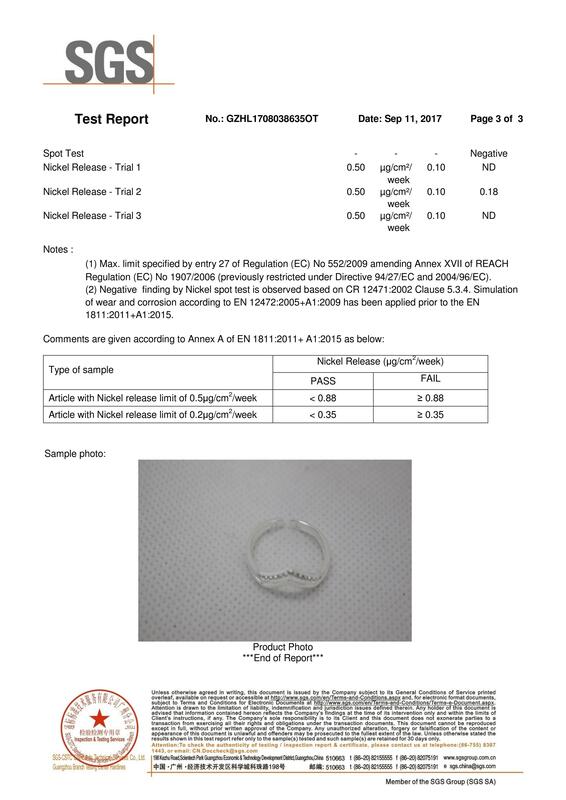 In the following SGS reports, the FASHION V SHAPE CZ 925 STERLING SILVER ADJUSTABLE RING passes Lead (Pb) content in the submitted sample(s) with reference to Entry 63 of Commission Regulation (EU) No 2015/628 amending Annex XVII to REACH Regulation (EC) No 1907/2006, the Cadmium Content in the selected part(s) of submitted sample(s) with reference to Entry 23 of Commission Regulation (EU) 2016/217 amending Annex XVII of REACH Regulation (EC) No 1907/2006, the release of Nickel(Ni) content in the submitted sample(s) with reference to the Entry 27 of Commission Regulation (EC) No 552/2009 amending Annex XVII of REACH Regulation (EC) No 1907/2006 (previously restricted under Directive 94/27/EC & 2004/96/EC). If you need jewelry to comply with EU/US Standard, please contact us for more information. 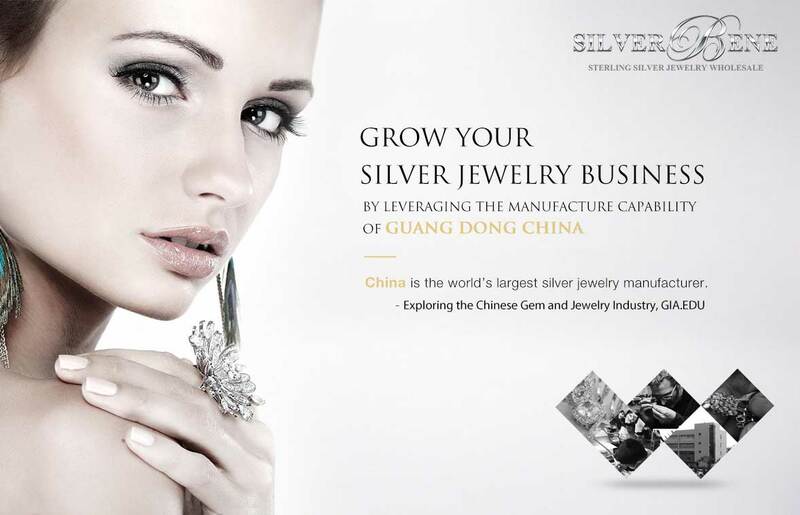 SilverBene is the trademark of ShenZhen ShiBao Jewelry Co., Ltd. Silverbene has been engaged in designing, manufacturing, and marketing silver jewelry since 1994 and is one of the leading suppliers of sterling silver jewelry in China, thanks to our staffs hardworking and sincere service for years, SilverBene has been recognized as a reliable partner for silver jewelry in the global market. SilverBene's design team regularly study and research for upcoming trends in jewelry design and launch new designs as per the latest upcoming trends, with teams spirit spark. With innovative designers, latest equipment, experienced workmanship, what we can provide our customer is simple: a trendy, fashionable sterling silver jewelry at a fabulous price. Our customers come from all over the world: Europe, North/South America, Australia, Japan/Korean, and other countries. Our products have continuously won domestic and foreign customers' approval and trust. Our wholesale and dropshipping customers are competitive sellers on Amazon, Ebay, Wish, AliExpress, and other market places. Now we get online and supply customers the real price of factory cost. Contact Shuai Long,CEO of Shenzhen Shibao Jewelry Co., Ltd.